Seattle-based blackened funeral doom/neofolk ensemble ISENORDAL will unleash their stunning Spectral Embrace full-length via Eternal Warfare Records. Recorded and mixed by Paurl Walsh at Ex Ex Studios in their home city and mastered by Brandon Busch, on this record, the band’s traditionally melancholic themes are expressed through warmer, acoustic sounds, featuring virtuoso viola and cello performances and unprecedented harmonic complexity. ISENORDAL’s folk music creates the sense of being transported to a dark and magical place. 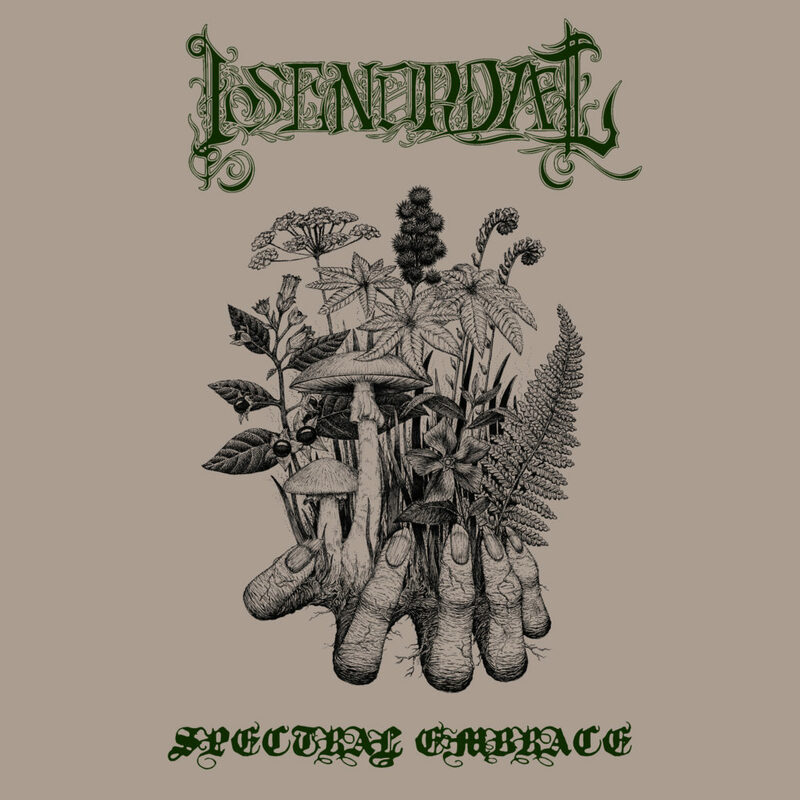 Lose yourself in ISENORDAL’s Spectral Embrace at THIS LOCATION. Order Spectral Embrace at THIS LOCATION. Additionally, ISENORDAL will release a limited edition split cassette with Oakland black metalists Void Omnia. Those familiar with the band’s Shores Of Mourning debut will immediately gravitate toward the sweeping, expressive intensity of “Eternal Winter Of The Mind,” a mammoth track running north of fifteen minutes that constitutes the whole ISENORDAL side of the release. The split will see release on June 1st via Eternal Warfare Records and will be subsequently pressed to vinyl by Vendetta Records at a later date. Orders for the split are available HERE. Both releases come in conjunction with ISENORDAL’s massive US tour with Void Omia. The journey commences on June 4th in Spokane, Washington and will make its way through over three dozen venues, coming to a close on July 11th in Las Vegas, Nevada. See all confirmed dates below. View the tour teaser, created by Chariot Of Black Moth below. 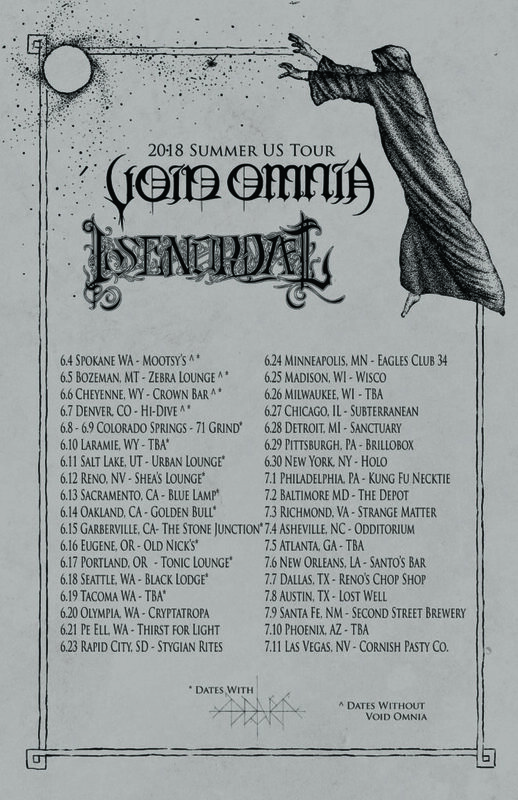 Seattle’s ISENORDAL blends influences from black metal, funeral doom, folk, and classical music to create a fresh and nuanced style all their own. 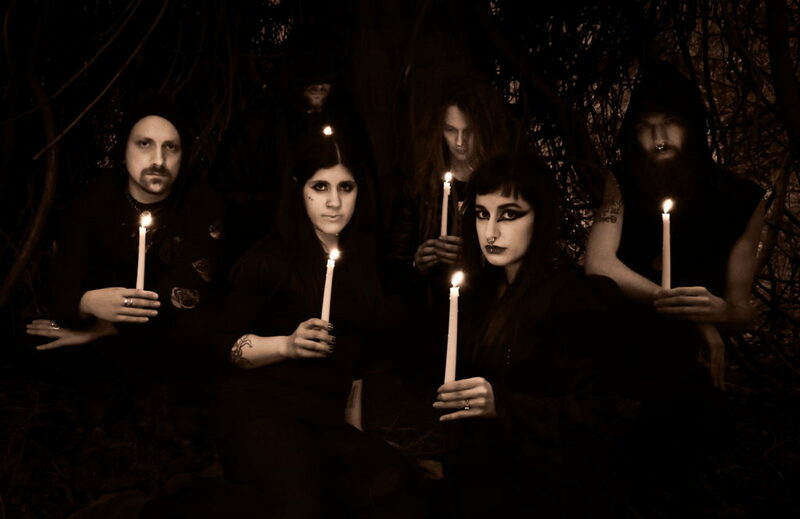 Forged in 2013, the band released the Imbolc MMXIV demo in 2014 before undergoing major lineup changes. ISENORDAL released their Shores Of Mourning debut in 2017. A study in loss, and a cry for a long-absent sunrise over a sorrowful and chaotic plane, the record seamlessly fuses Cascadian black metal influences with funeral doom, Viking metal, and neofolk. A US tour followed, winning the band praise for their powerfully emotional, melancholic songwriting and uncharacteristic fusion of influences. Shortly thereafter, ISENORDAL debuted Lughnasadh MMXVII, a demo of their folk music. This super-limited two-track teaser quietly inaugurated the current era of ISENORDAL, in which the band writes two distinct styles of music — the more metal-oriented style established on Shores Of Mourning and their own entrancing, soundtrack-like dark folk imaginings — with the same band members often playing different instruments in each ensemble.